Manila, Philippines - The complete list of winners for Miss Philippines Earth 2014 was announced during the live coronation night on Sunday, May 11, 2014 at the Mall of Asia Arena, Pasay City. 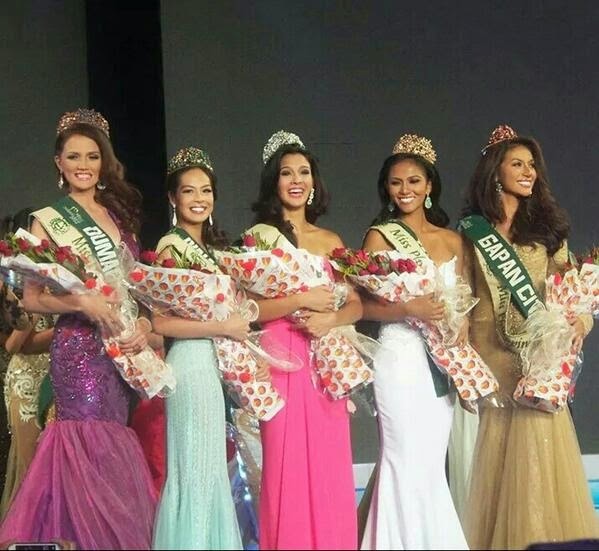 Cebu City representative Jamie Herrell was crowned as this year's Miss Philippines - Earth. Herrell will represent the country in the upcoming Ms. Earth pageant, one of the biggest beauty pageants worldwide. The 19-year old Cebuana gave an excellent answer during the question and answer portion. Former Akbayan Representative Risa Hontiveros asked her whether human beings have been good children to Mother Earth. She answered no as humans are the main cause of Mother Earth's problems. Watch the delayed telecast of Miss Earth Grand Coronation Night on ABS-CBN on Sunday, 10:30PM after Gandang Gabi Vice.